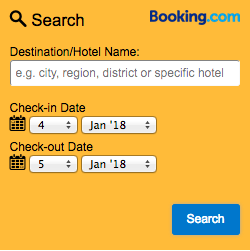 I looked online for kid-friendly places in Hong Kong but I wanted something other than Disneyland Hong Kong or Ocean Park. 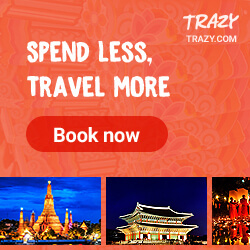 I came across several options like Ryze Ultimate Trampoline Park, the Hello Kitty Go Green Organic Farm, Noah’s Ark, and several places where kids can pick strawberries like Tai Tong Organic Farm, Mapopo Community Farm, Kadoorie Farm and Botanic Garden, Rainbow Strawberry Farm, and Kam Tin Country Club. I wish we had more time to stay in Hong Kong but given that we’re there for one weekend only, I needed to choose just one. And I chose Kam Tin Country Club because based on my research, it looks like it is the easiest to reach by MTR. Okay. 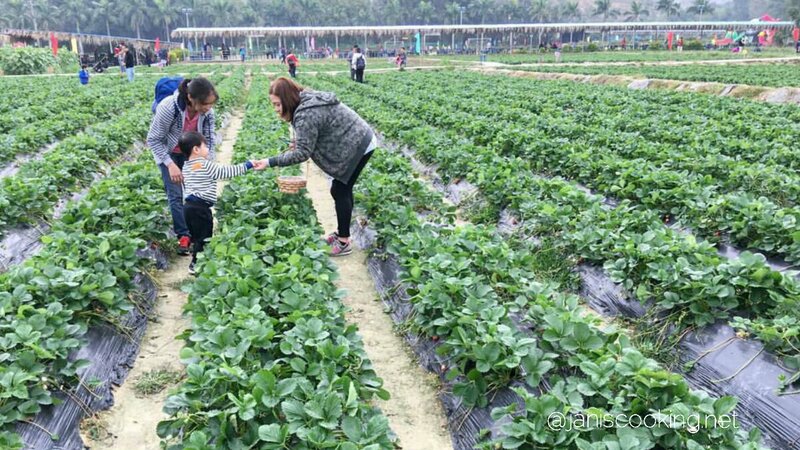 I’ll be honest and say that we did reach Kam Sheung Road station just fine but once there, we had a little difficulty finding out how to reach the strawberry farm. The problem mostly was caused by language barrier. Locals could not understand where we’re going even if I showed them the website of Kam Tin Country Club. We encountered a group of Filipinos also going to Kam Tin Country Club and they told us to just get a taxi and tell the driver that we are going to the strawberry farm. We hailed several taxis but we were not accommodated. It was by some stroke of luck that we saw a bus painted with a picture of the strawberry farm. I rushed to tell the driver that we are going to the strawberry farm and the driver loudly said “Yes, yes!” as he motioned for us to hop on board quickly. Hallelujah! So THIS is how you can reach Kam Tin Country Club: Take the MTR and get off at Kam Sheung Road West Rail Station, Exit D. Outside the station is what appears to be a huge parking lot with bus stops from a distance. Find the bus stop of Bus No. 601 and wait there. It’s a green roof minibus with the strawberry farm painted on its body. The bus arrives at the Kam Sheung Road station every 10 minutes from 11:00 am: 8:00 pm daily. The bus will have several stops along the way but you’ll know that you are at Kam Tin Country Club because you’ll see a huge tarpaulin sign outside the park. This is the same bus that you’ll ride to go back to Kam Sheung Road station. Scroll down to read more about our family adventure at Kam Tin Country Club. One of the things that we enjoyed at Kam Tin Country Club was the huge open lawn where kids can run and ride a bike. At the far end of the lawn was a large inflatable castle. At the right end of the lawn is the barbecue area where guests can eat barbecued meats and veggies, Hongkong style. My son’s favorite was this animal ride at the other section of the park. He got to choose his favorite animal and once the tokens have been inserted, the animal ride played some funny kiddie songs that made my son really excited. He enjoyed the ride so much! Can you see how much they enjoyed the ride? From a distance, we saw the massive fields planted with different crops. You can get your fresh veggies there too but we came just for the strawberries. There were three strawberry varieties to choose from: Japanese, Korean, or French. 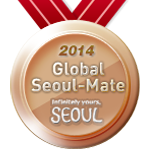 As a former Global Seoul Mate, now a Seoul Brand ambassador, of course I chose Korean. The fields have their own labels so you won’t get confused as to the type of strawberry you’re harvesting. We were not able to come in really early so most of the red, juicy ones have been picked out. To be honest, the strawberries we got were a mix of good ones, overripe ones, and ones that are not too sweet. I had a feeling that we could have gotten a better batch if we just bought strawberries at the entrance, or maybe even at the grocery. But it was not just eating strawberries that we were after for. We went there for the experience. It was a good bonding activity for the family and a good learning opportunity for my toddler. If you are going to Hong Kong and would like to temporarily stay away from the hustle and bustle of the city, you may want to go to Kam Tin Country Club. You’ll reach it in less than an hour and it’s up to you for how long you plan to unwind there. For us, we dedicated half of our day for this and we still had enough energy and time to spend for going around Tsim Sha Tsui. *There’s an entrance fee to the park. Every attraction or ride has separate fees. For strawberry picking, the fee depends on the type of strawberry and total weight of harvested berries (in pounds).